Criticism is difficult. Especially when in the most public of forums. 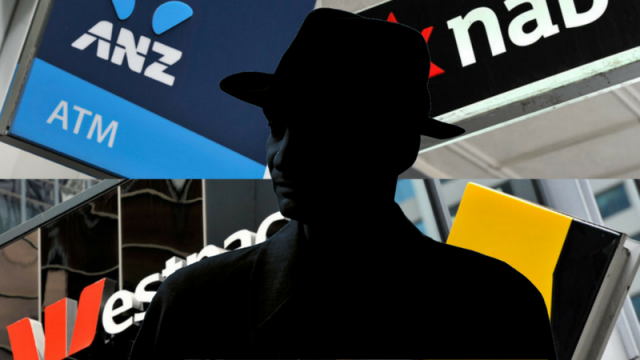 To that end, the banking royal commission has been difficult to endure. Primarily, because I’m under the employ of one of the institutions currently dragged across the coals. In fact, I’m typing this on my way to my desk in that great glass and steel structure currently melting under the governmental magnifying glass. I’m privy to both sides of that criticism. In the public eye, it’s been childish and ugly. Behind closed doors, it’s been ugly and childish. Myself and many like me, who had no idea, nor involved of what a lofty few have been up to, have been paying for it. Longer hours are the norm, as recently I’ve worked my first eighty hour week, with my tasks akin to heaping tiny buckets on a towering inferno. I’m not far enough up the ladder to accept responsibility, but I’m not low enough to wash my hands of it. To use a rural parlance, the upper floors consist of a mass of headless poultry acting on impulse, as the fear of the governmental knock on their doors rolls downhill. Their fear becomes our fear, and many of us have done nothing wrong, but we all row the same way. There is no option. Last night, we were met with the news that we were unable to answer a question, which made us look bad, and rose the acid in the stomach of the public, which would surely manifest itself in more theoretical rocks at our windows, and indeed yet more nervousness from upstairs. To be honest, I fear the eyes of management this morning. And I kind of wish that this train voyage would carry on forever. Which is a feeling I’ve not had since I was fifteen. At the time, I worked at a chicken shop. For many of us, including myself, this has been a rather serious shot to the gut. It’s akin to finding out your partner is cheating on you. The details are hard to grasp, you don’t really want to know, so you’re still dealing with the feelings of betrayal, discovering that they’re not who you thought they were, but we must know. And, it’s heartbreaking. All of us who work in banking, love it. I certainly did. It’s why I donated my life to it. We all love the possibilities and nuance of finance, and indeed how we can change the life of the client. To discover that the opposite is, in fact, is true, that we’re lining our pockets instead of theirs, is beyond my scale. My disappointment is yours, reader, magnified, as an employee as well as a customer, my heart, along with my wallet, was in it. To the public, those outside our doors (and those who walk through them), the recent news merely solidifies their assumptions that the entire sector is crooked, and that it should be torn down, and the earth salted so that its kind may never grow again. In weeks previous, I’ve bristled at that rhetoric, hiding behind a sweeping statements, something akin to #notallBankers, pointing at the good work we anonymously do, but honestly, if those at the top of the sector aren’t going to take responsibility, I’m not going to dip my paddle against the water of that very famous creek we’re cast down. I, like many, are looking to flee this ship, and try and swim to the shore. I wonder if Red Rooster is hiring.